Despite its tiny surface area of just under 14,000 square kilometers, there’s plenty to do in this Balkan country. Since to its neighbor, Croatia, is becoming increasingly busy and expensive, Montenegro is gradually transforming into a European hotspot, so try to get there before prices start to soar! Durmitor National Park is northern Montenegro’s must-see spot. Spread over 339 square kilometers, the park wows visitors with mountainous landscapes, peaceful lakes, and wild horses and sheep. Most tourists choose to stay in the town of Zabljak, located 1,450 meters above sea level, making it the highest town in the Balkans. From there, it’s just a 40-minute-hike to the park’s most popular lake, Black Lake. Surrounded by dense pine forests, the 0.5-square-kilometer glacial lake is a great spot for swimming. This is best done in August, when the water is at its warmest, although it usually remains 4°C cooler than the outside temperature. Another of the park’s must-sees is Tara River, where you can raft through nearly 20 kilometers of beautiful scenery. Durmitor National Park is northern Montenegro’s must-see spot. 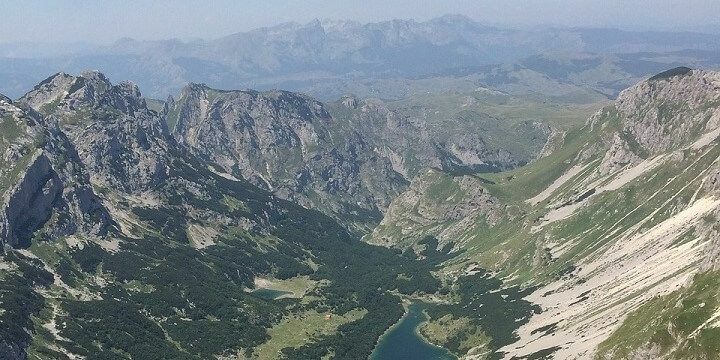 Hikers will be spoiled for choice in Durmitor National Park. There are plenty of trails to choose from, but watch out for brown bears, grey wolves, and wild cats along the way! If you’re after a challenge, climb to the 2,500-meter-high peak of Bobotov Kuk, the highest peak in the park. There are many hiking trails to choose from in Durmitor National Park. 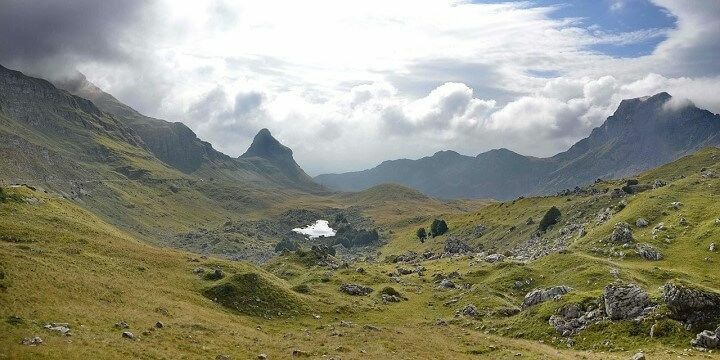 Alternatively, check out Savin Kuk: at over 2,300 meters, this is Durmitor’s most popular ski spot in the winter, and a great hiking spot in the summer. After exploring Montenegro’s best natural beauty, check out its two largest cities: Podgorica, the capital, and Niksic. 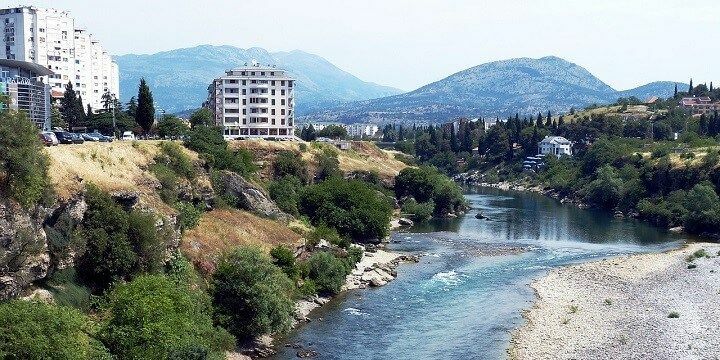 Podgorica has plenty of historical landmarks to explore, such as its Ribnica Bridge, originally built by the Romans, and now surrounded by fascinating ruins. Stroll around the city’s Old Town, which was constructed during the Ottoman rule, and is home to quaint, winding streets, tasty restaurants, and independent boutiques. Podgorica is Montenegro's capital city. Drive 30 minutes from the capital to find Lake Skadar, which straddles the Albanian border. With nearly 300 species of bird and 50 different kinds of fish, it’s a great spot for nature lovers. On your way to the lake, stop off at some of Montenegro’s best wineries for interesting tours and delicious tastings. The second-largest city in Montenegro, Niksic, is located in the West of the country and was built in the fourth century. Its most popular sight is the Ostrog Monastery, built into a cliff face during the 17th century. Explore the mix of cultural landmarks, including the Church of St. Basil and the Haji-Smailova Mosque before enjoying the city’s famous beer. 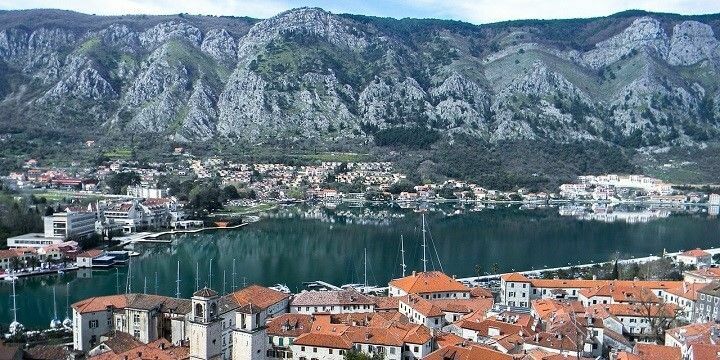 The best-known town on Montenegro’s coastline is Kotor. It’s Old Town, which is also a UNESCO world heritage site, is home to cobbled streets, quaint cafés, and hundreds of cats, which now have their own museum! For the best views over the town and the surrounding bay, climb the 1,500 steps to St. John Fortress. Along the way, you’ll see military ruins and a 15th-century church, before reaching the historical fortifications. Travel further around the bay to find the smaller village of Perast. Explore this thousand-year-old village’s churches, abandoned buildings, and winding streets, before re-energizing in its popular cafés. If NextStop24 helped you to choose your next travel destination, we'd be very grateful if you’d search for your accommodation and things to do in Montenegro through these links. They're affiliate links, which means that we will receive a small commission for every booking made through them. There are no extra costs for you; you'll simply be helping to keep NextStop24 running. Thanks! Montenegro is maybe a small country but unbelievable beautiful. Small country but lots of things to do from great nature parks to a lovely coastline.